Rwanda inaugurates the first Doppler Radar Station, in Africa. On 30 June 2015, Rwanda inaugurated its first Doppler Radar Station. The new station is owned by the Rwanda Meteorology Agency, and it's based at Bugesera. During the inauguration, Evode IMENA, the Minister of State for Mining of the Republic of Rwanda has said that, this doppler weather radar will enhance observation on weather and make prediction and warn the public in a good time (Early Warning System). It will also help to monitor wind shear at Kigali International Airport and the Bugesera Airport to be constructed in near future. Wind Shear refers to a change in wind speed or direction with height in the atmosphere. 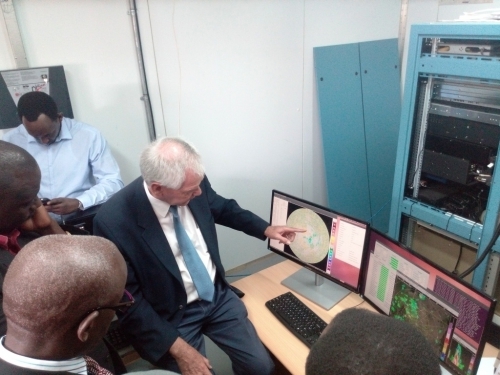 Mr Kamemzi, the director of the Rwanda Meteorology Agency, has said to the journalists, that this Radar costs 2 millions USD. 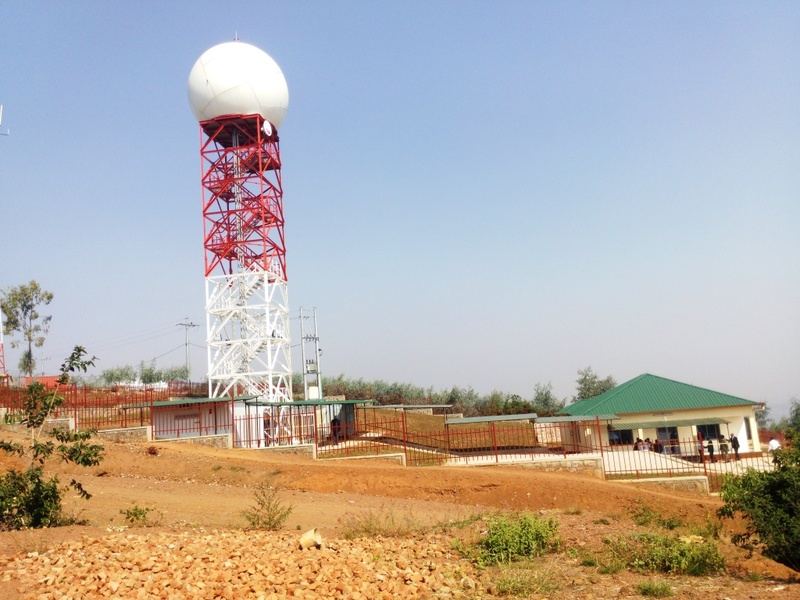 The staff of the Rwanda Meteorology Agency, is ready to work, with the new radar. 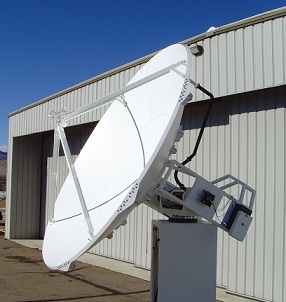 This radar will be used by the Minsitry of Defence, the Rwanda Meteorology Agency and the Rwanda Civil Aviation. NCAR/RAL often requested to apply its aviation weather expertise to assist foreign governments in addressing weather hazards specific to their airports or airspace. In 2014 RAL worked with Advanced Radar Corporation (ARC) to develop a microburst detection algorithm and system tuned to ARC’s radar technology for deployment at the airport in Kigali, Rwanda. The acquisition of this new radar, is part of a Rwandan ambitious project. Rwanda will host the COMESA (The Common Market for Eastern and Southern Africa) Climate Change Observatory and the COMESA Air Traffic Center. Rwanda Meteorology Agency (RMA) has acquired a new radar system that will help detect weather hazards to help boost the safety of the aviation industry. John Ntaganda Semafara, the acting director general of RMA, said the radar will be stationed at Maranyundo Hill in Bugesera District and will serve the Kigali international Airport and the envisioned Bugesera International Airport. “It has the capacity to detect movement of dangerous clouds and other wind shears that can potentially cause accidents to aircraft,” he said. The wind shear normally affects the movement of aircraft, especially during the take-off and landing. The radar was purchased at a cost of Rwf1.3bn from Advanced Radar Corporation in USA and installation will be complete by the end of the year. He added that currently, they depend on satellite information which sometimes inaccurate. The new infrastructure is also expected to boost the new early warning system that is being implemented to prevent effects of climate change.The early warning system is being developed by Rwanda Environment. Management Authority, in partnership with the Ministry of Disaster Preparedness and Refugee Affairs. It will help predict precipitation and climate-related disasters, like flooding, landslides and droughts, before they happen to allow ample preparation. Kizito Bongayi, the head of air traffic management at Rwanda Civil Aviation Authority, said the new system will be able to detect the hazardous clouds from far away. “It has capacity to penetrate clouds as far as Kinshasa,” he said.